On Monday, October 8, Indigenous Peoples Day, tune into The Global Indigenous Wisdom Summit, streaming on Facebook Live via The Shift Network at 9am PT / 12pm ET. 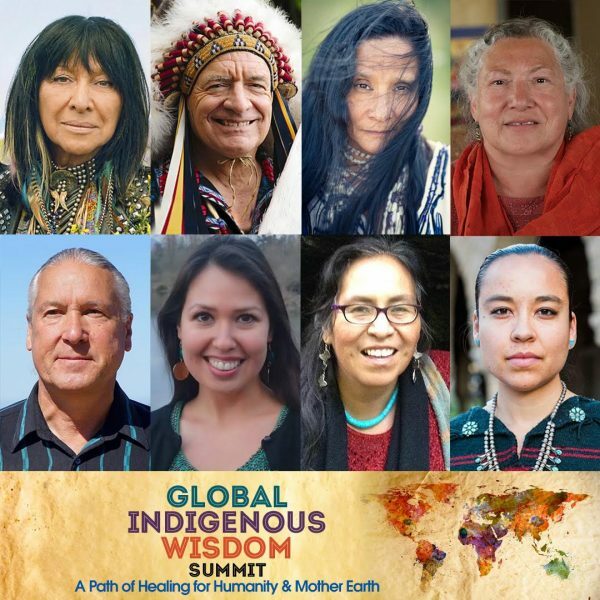 The Global Indigenous Wisdom Summit is a one-of-a-kind free event featuring Indigenous leaders from around the world for a day of Earth-based wisdom teachings, prayers, and music to support transformation, healing, and social change — with Buffy Sainte-Marie, Grandmother SaSa (Swan of the North), Grandmother Flordemayo, Woman Stands Shining (Pat McCabe), Dave Courchene, Grandmother Moetu-Taiha, Pura Fé, Ilarion (Kuuyux/Larry) Merculieff, Tiokasin Ghosthorse, Joanne Shenandoah, Shawna Bluestar Newcomb, Leah Shenandoah, Unci Rita Long Visitor Holy Dance, Steven Newcomb, Reverend Eila Paul, and more! Head over to The Global Indigenous Wisdom Summit page for more info.